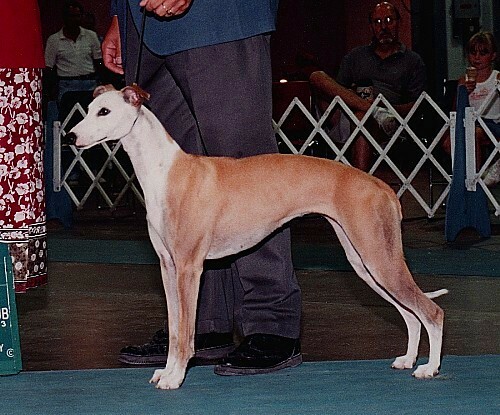 Scoop is owned by Debi Adams, Jade Whippets, and co-owned by myself throughout his show career. He was in the Top 10 for two years and in the Top 20 another year and has 26 Group 1st's to his credit. 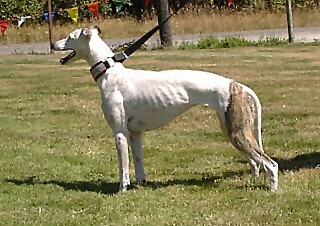 Kat is owned by David & Regina Howton, D & R Whippets. 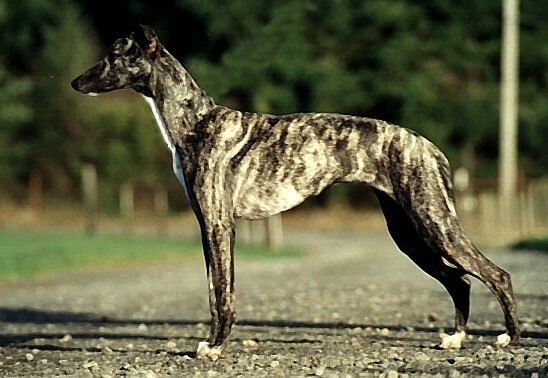 Kat was bred to Redford for a late 2004 litter. 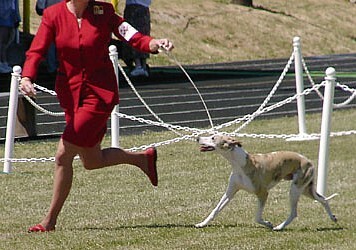 Cindy Lou is owned by Deborah Bahm, Debmar Whippets. 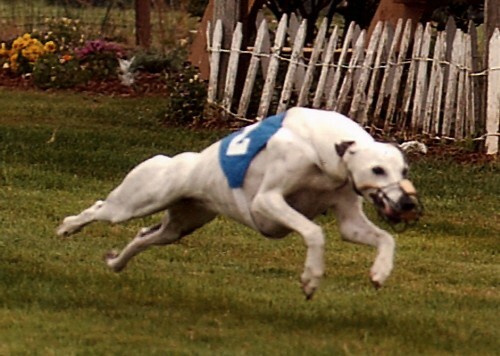 Cindy Lou finished her AKC FC title in 3 trials with 5 point majors each, including back-to-back BIF's. Sam is owned by Del & Maggie Wasso. He is WRCh pointed and pointed in the show ring. 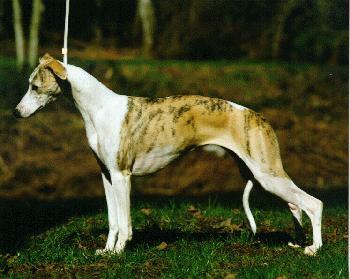 Lyla is owned by Deborah Bahm, Debmar Whippets. Before she left here she earned a 2nd place and a first place and Best Of Breed for a total of 70 points at her first weekend of ASFA trials. And well, in her THIRD lure trial at the AWC National Specialty she won BOB over an entry of 137 to finish her FCh!!! She followed that in style by completing her LCM. Congratulations Deborah and Lyla!. Huey is owned by Matthew & Kathleen Taylor-Brown. 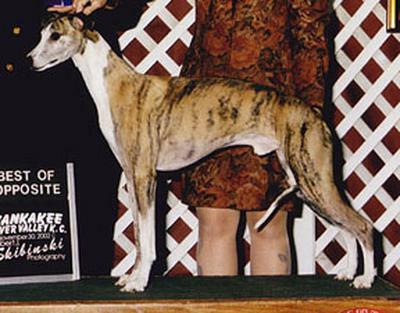 He was shown to his Championship by his former owner Debi Adams. Huey also has Group placements to his credit. 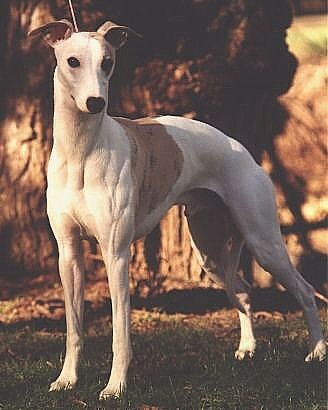 Lola is owned by Saulo Biscoto, Silkrock Whippets. 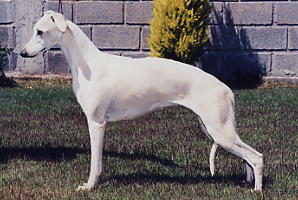 Princess is owned by Saulo Biscoto, Silkrock Whippets.Her debut in Brazil brought her a Best Of Breed and Group 1 from the puppy class. Look forward to more winning from this pretty young girl.